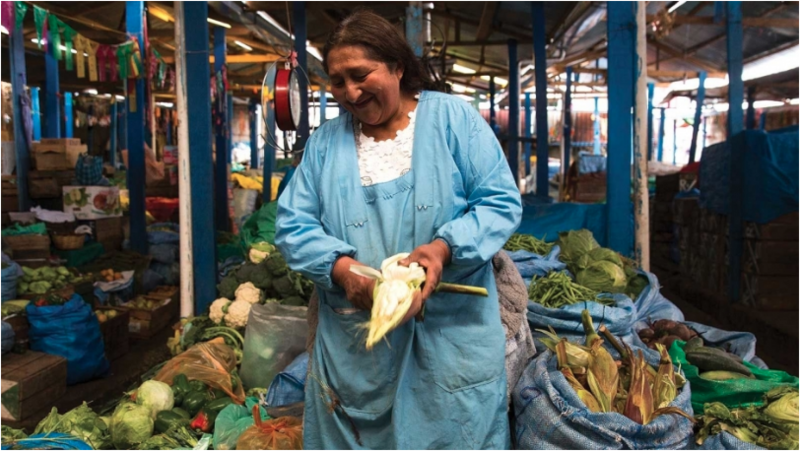 “Women hold the keys to Bolivia’s food system.” That’s the conclusion made by food writer Leslie Pariseau in her recent article in Saveur. Pariseau traveled to Bolivia to meet women involved in all aspects of the food chain from farmers to market sellers, chefs to restaurant owners. 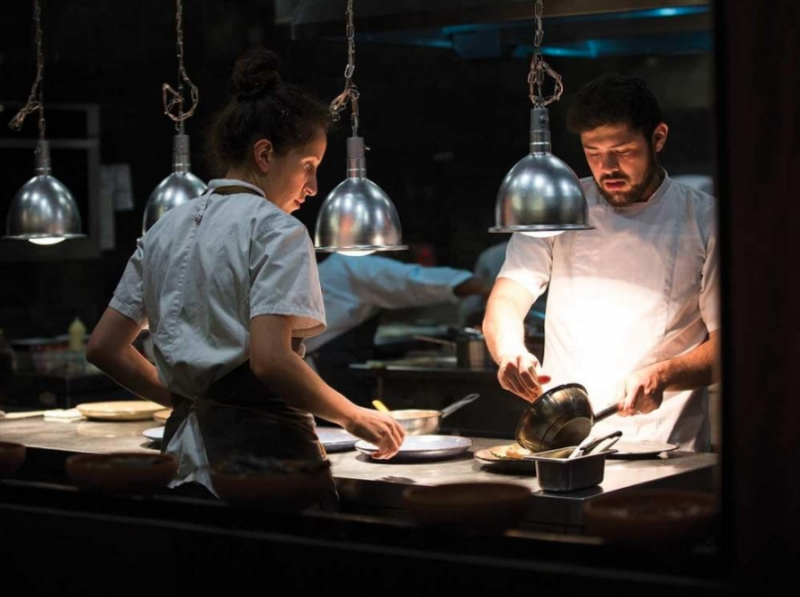 One woman she met was Marsia Taha, head chef at Gustu in La Paz, Bolivia’s capital. Taha is one woman among a growing crop for whom running an elevated kitchen or owning a high-end food business is entirely possible. Moreover, that these women now have the ability to circulate among and be recognized by chefs’ circles globally is a major step not only for women in the country, but for Bolivian food. As its women flourish, so does La Paz. It’s easy to overlook, but La Paz’s full name is Nuestra Señora de La Paz: Our Lady of Peace. And she has always been here, feeding her city. Taha and her Gustu team have helped put Bolivia on the map as a rising food destination, critics say. We asked Taha to send us a tasty recipe that was not too complicated or time-consuming to prepare. Here’s what she sent us. Soak the quinoa in water for at least three hours. Blend with the water and lemon and press through a cloth. Cook the mixture over high heat, stirring constantly with a whisk. Allow to cool down until it turns solid and add a dash of lemon juice. Peel and poach the beans. Cool down the beans with ice water. Peel off the inner skin of the beans and toss them in a blender with sunflower oil, and water. Process until a puree is formed and then add the Huacataya oil little by little until it forms a fully-blended puree. Cook all three kinds of quinoa in boiling water for 5-6 minutes. Remove, drain and season with lemon and salt as desired. Cook the quinoa in boiling water for 5-6 minutes. Remove from water and stir. Ferment the koji mushrooms in a fermentor for 3 days. Remove and mix with salt. Let stand for 3 months in a dry environment at a temperature between 30 to 40 degrees Celcius. – 8 different types of greens, set aside to use for plating. Boil water and add the sugar. When water is boiling, remove from heat and add the black tea. Let stand until it reaches a temperature of 40 degrees Celcius. Sift and place in a tightly closed container. Add the kombucha and SCOBY starter. Let stand for 7 days. 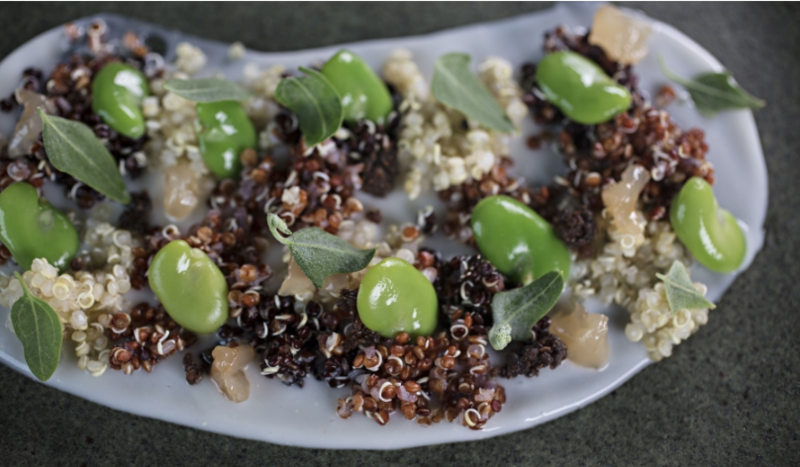 Place a bed of quinoa tofu with small mountains (20 grams) of quinoa of different colors all over the dish. Plant scoops of puréed beans on top of the quinoa and cover with the greens. Assemble a bean purée quenelle (dumpling shape) on one side. Serve at room temperature.